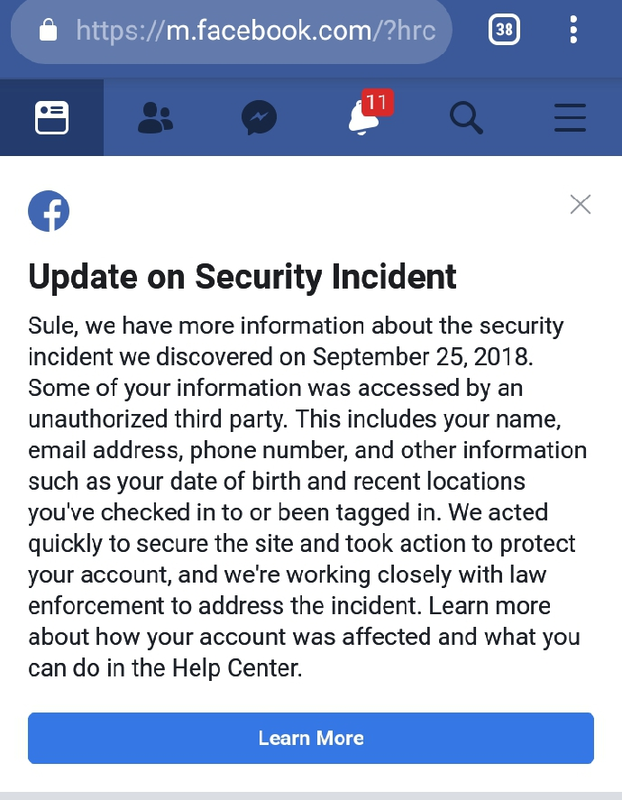 Exactly 17 days ago, I wrote about the Facebook data breach and what users should keep in mind to keep their accounts safe. On Friday, October 12, Facebook provided an update to the situation. And others like gender, religion, liked pages, etc. It claims the hackers didn’t get hold of users’ passwords and credit card details. While the information accessed may look harmless, I personally believe they would form the basis for widespread attacks in early and mid-2019 once this information start trading on the dark web. If they don’t already. This corporate/industry nightmare will hit again following the Facebook attack. Unsuspecting users to get similar emails as they’ve always received, but with ransomware packages. “Sniper” will be planned not to become as widespread as WannaCry to evade security analysis tools. A long time will pass before it will be detected. In all these, individuals and corporates need to be made aware and trained (beyond the usual), beforehand. These predictions would either not see the light of day, or at least 80% of it will come true, with the entire precision of timing, figures and attack vector.